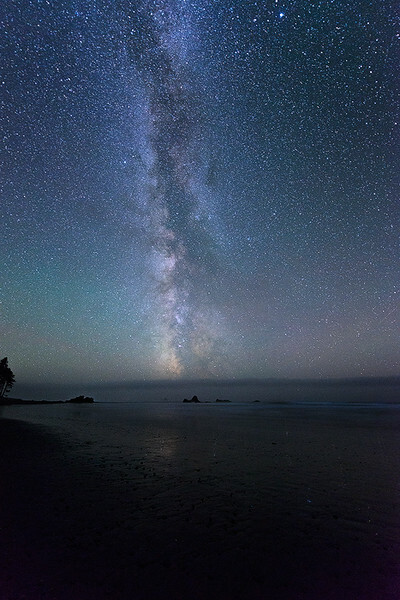 Without any editing of this photo you can see how bright the stars are on the Olympic Peninsula. We will be editing photos during two afternoon class room learning sessions. Using simple post processing techniques you will be able to bring out the stars in shots like this even more! This was taken at another one of my favorite beaches along the coast. If you look closely to the left of the photo, you can see the trees and forest come right down to the ocean. This makes for some amazing compositions.